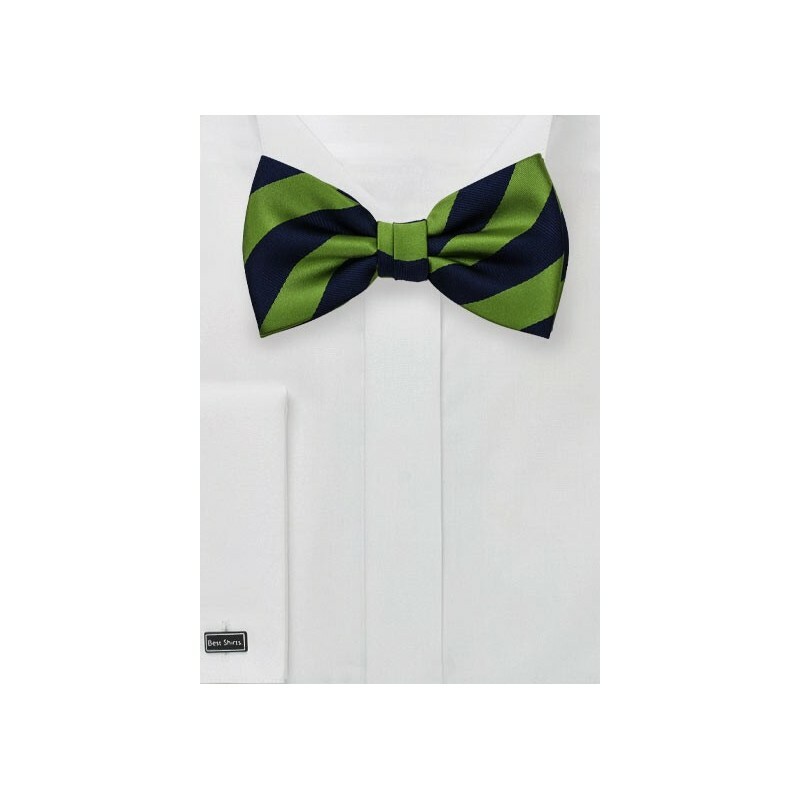 Add some fanciness to your everyday suits and traditional blazers with this repp striped bow tie in fern green and classic navy blue. The navy stripes feature a repp texture while the green are made from a shinier satin woven fabric. 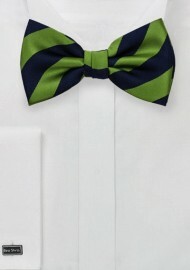 A great looking tie for the bow tie newbie as well as the bow tie aficionado. Made as a pre-tied style with adjustable neckband for convenient wear.